IRON MOUNTAIN — Bass fishing has improved with the onslaught of summer heat, and anglers continue to report good results on trout. For bass, try crankbaits, worms or leeches, said Doug Whisler at Whisler Outdoors in Florence, Wis.
At Whispering Pines Outpost on M-95, John Grier said trout catches have ranged up to 15 inches. Anglers continue to try Lake Antoine for perch, but most of the success for walleye has been closer to Lake Michigan, he said. Walleye anglers all along Marinette and Oconto were catching greater numbers of walleye using a variety of methods and lures, including nightcrawlers and various plastics, said Ben Olsen, Wisconsin Department of Natural Resources fisheries technician at Peshtigo. “Additionally, a lot of people were targeting brown trout in Marinette over the past week with some anglers having decent success catching them,” Olsen said. 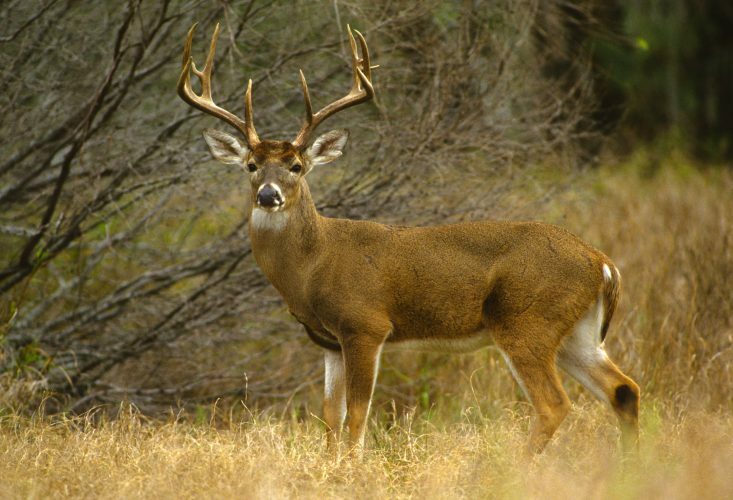 Antlerless deer hunting permits go on sale Sunday in Michigan and will be accepted through Aug. 15. Drawing results will be posted Sept. 4 with any leftover licenses on sale beginning Sept. 10. Keweenaw Bay: The E coli warnings have been lifted for fishing in this area. A few Chinook salmon were caught in 70 to 200 feet with spoons or a flasher/fly combo in the early morning. 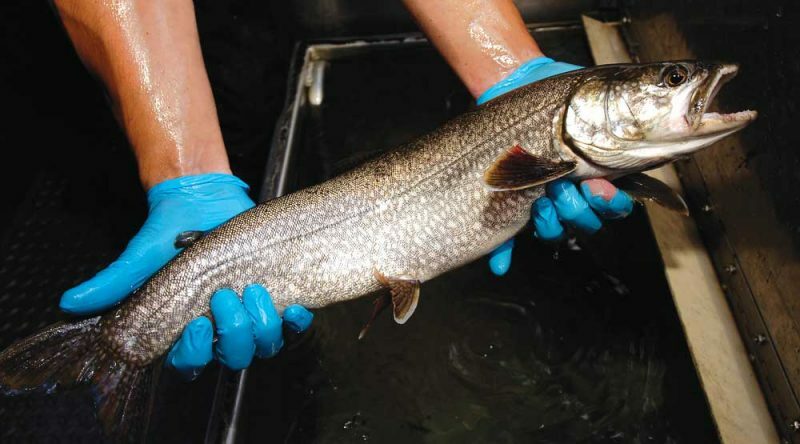 In Traverse Bay, a few lake trout were caught in 100 to 150 feet when trolling spoons. For the South Entry, the action was slow but a couple Chinook and brown trout were caught in 75 feet in the evening. The water is still dirty from all the flooding but is clearing up a little more each day. Lac Vieux Desert: Walleye fishing remained slow. The bigger fish were found in the deeper holes when trolling or jigging artificial baits. A couple legal size musky as well as smaller fish were caught by those putting in the time and casting large lures over the weed beds. Pike and largemouth bass were caught around submerged vegetation when casting spinners and crank baits. The vegetation in both Indian and Rice Bay is coming in thick. Panfish were hitting on live and artificial baits in 6 to 12 feet. Little Bay De Noc: Walleye fishing slowed with an abundance of food from fly hatches and alewife. The best reports came from Breezy Point and south to No-See-Um Creek when trolling a crawler harness or rapala in 14 to 28 feet. A good number of small perch were caught in the Butler Island area and south to the Escanaba Yacht Harbor with crawlers along the weeds lines. The Escanaba River still has a lot of undersize walleye but several nice pike were reported by those trolling crank baits or spoons near the mouth. A few anglers were looking for salmon but the best catches were close to Wisconsin waters and the Washington Island area. Big Bay De Noc: Had few walleye anglers. Some were fishing in the “Boot” and south to Big Bay Shoals but no fish were caught. The bay had mostly smallmouth bass anglers taking fair to good catches off the golf course in Nahma in 10 to 16 feet and Puffy Bay in 8 to 14 feet with plastics and spinners. Fish were caught off Ogontz but they were small. Pike are still abundant. Off Fairport, anglers were marking fish right along with baitfish but catch rates were slow. A few were found 80 feet down in 130 feet near Poverty Island. Marquette: Fishing was steady, with a good number of lake trout caught along with the occasional coho and steelhead when trolling spoons near the “white rocks” and Granite Island. Most were 20 to 50 feet down in 120 feet or more. Au Train: Also had good fishing including a few limit catches taken when jigging off the East Bank in 160 feet or trolling near Laughing Fish Point where the fish were suspended at 20 to 50 feet. Most of the lake trout were 2-5 pounds. Munising: Most boat anglers did well for lake trout with limit catches taken near Wood Island Reef and the Grand Portal Reef in 150 to 180 feet. Salmon fishing and pier fishing were slow with the warmer water temperatures. Grand Marais: Boat anglers reported limit catches when trolling for lake trout with assorted spoons and flies off Five Mile Point, the Big Reef, ten miles out from Au Sable Point and about seven miles out near the shipping channel in 160 to 200 feet.